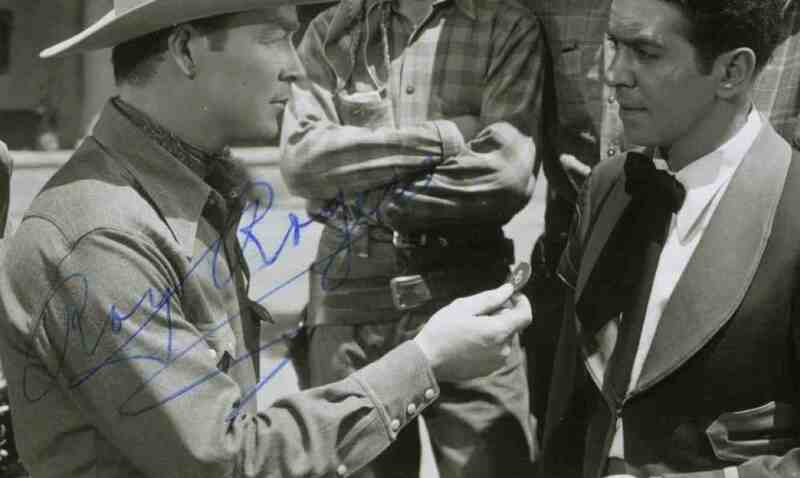 Roy Rogers autographed still from his movie "Apache Rose" where Roy is showing poker chip to victim of gambling ring. 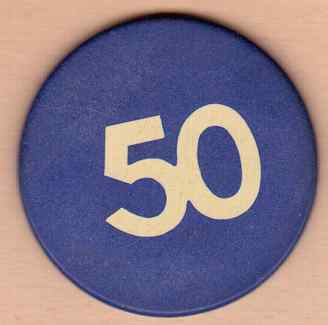 This is the casino poker chip Roy is holding in the still. I own the still, paid about $55 for it in auction, June 2010. From IMDb user review: "Dale Evans is on hand as Billie Colby, the owner of a tugboat, the "Apache Rose". Just like her character in "Bells of San Angelo", she and Roy start out at odds with each other, but eventually team up together to bring down a villainous plot to seize the oil rights from rancher Carlos Vega (Russ Vincent). The lead bad guy is Reed Calhoun (George Meeker), owner of a casino boat who's maneuvered Vega into running up a large gambling debt so he can get his hands on Vega's oil rights." 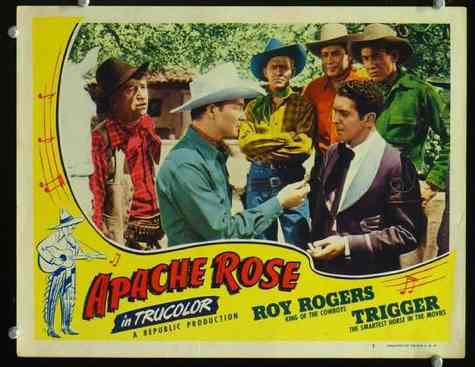 The same scene is the basis of this lobby card for the movie. Unfortunately, I don't own the lobby card. 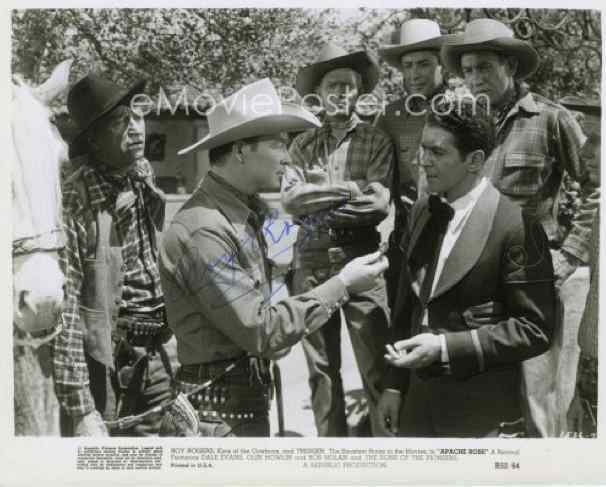 This lobby card and another went for $76 in a 2008 auction.